This review originally appeared at InfluenceMagazine.com. To be honest, I’m not the kind of guy who reads books like The Key to Everything. For one thing, I prefer reading “theory” books to “practice” books. For another thing, I am wary of authors who promise simple answers to complex questions, let alone the key to everything. Simplicity comes in at least two kinds, however. The first is synonymous with foolishness. In this sense, a simple person—a simpleton—lacks knowledge or expertise. The second kind pertains to science. In this sense, a simple formula can explain complex phenomena. Think of E=mc2 as an example. What is teachability? Keller borrows Roger Seip’s formula from Train Your Brain for Success: “Desire to learn times willingness to change equals our level of teachability.” If you desire to learn but are not willing to change, or if you are willing to change but don’t desire to learn, you have a low “teachability index.” The goal is to have a high one. 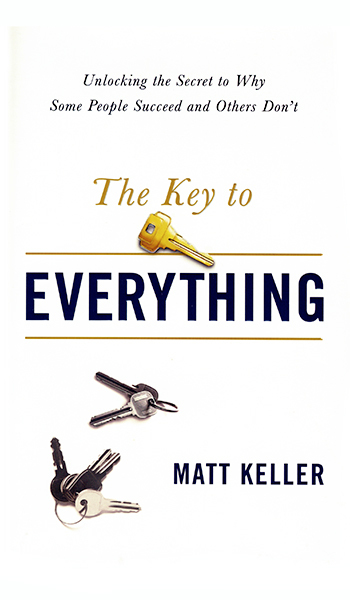 Matt Keller is a Christian pastor and leadership coach, so most of his readers will be fellow pastors or leaders of parachurch ministries. Though his book refers to the Bible, Christian business professionals can safely use it as a coaching tool in secular environments too.